The Isaac Newton Group of Telescopes (ING) contributed data to the research which led to the award of the 2011 Nobel Prize in Physics to Professor Saul Perlmutter of UC-Berkeley. 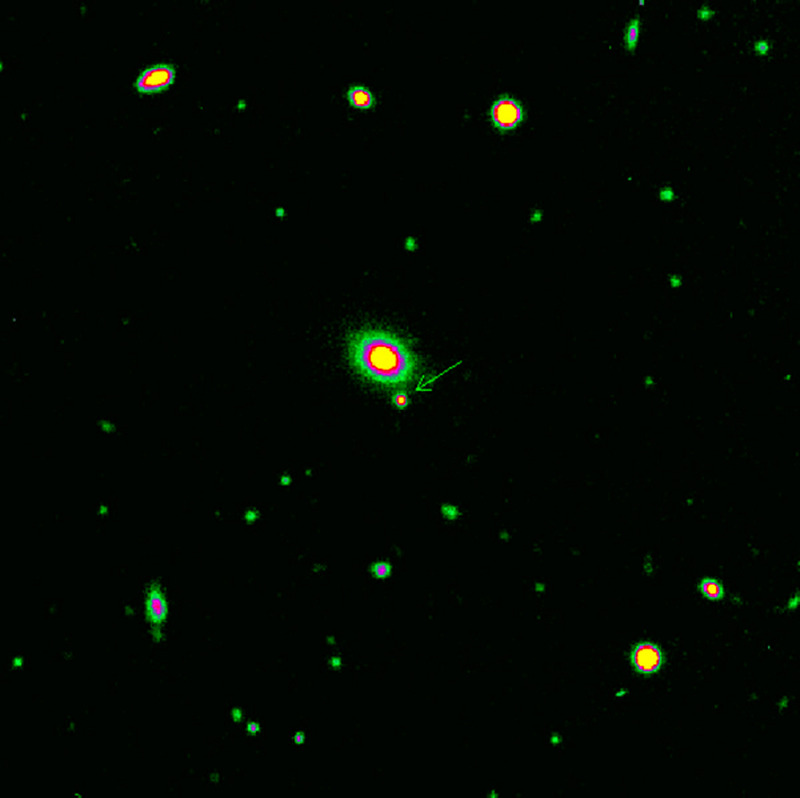 Using wide-field imaging techniques implemented on the Isaac Newton Telescope (INT) in the early nineties, and subsequent imaging and spectroscopy using the William Herschel Telescope (WHT), among others, the Supernova Cosmology Project team led by Perlmutter discovered that the expansion of the Universe, long-believed to be decelerating due to the effects of gravitational attraction, was in fact accelerating, that is, galaxies are receding from one another faster now than they were billions of years ago. This result provided the foundation for the current, widely-accepted model of the Universe, in which the dynamics are dominated by what is called dark energy. The key paper was published in 1999. The observations made with ING telescopes used the Wide Field Camera on the 2.5-meter INT, the Prime Focus Camera on the 4.2-meter WHT and the ISIS double spectrograph on the WHT, and illustrate how telescopes of moderate size and cost can be used, along with larger telescopes (the 10-meter Keck telescopes in this case) to deliver major advances in our understanding of the Universe. These observations of distant supernovae owed their success to the flexibility with which ING's telescopes could be scheduled, and to the superb quality of the night sky above La Palma. It is an honour for the ING to have contributed to what is perhaps the single most important result in observational cosmology during the last two decades. This image of a distant type Ia supernova, thousands of millions of light years away, was taken using the Wide Field Camera on the Isaac Newton Telescope in 1998. This and other type Ia supernovae were studied by the Supernova Cosmology Project team. When a star explodes as a type Ia supernova its brightness is similar to the host galaxy. This, and the accuracy with which the intrinsic luminosity of type Ia supernovae can be estimated, make them the best available standard candles for investigating the geometry and dynamics of our Universe [ JPG | TIFF | PDF ]. Astronomers Nic Walton and Javier Méndez from the Isaac Newton Group of Telescopes co-authored some of the papers of the Supernovae Cosmology Project. The Nobel Price in Physics 2011 annoucement. Perlmutter, S.; Aldering, G.; Goldhaber, G.; Knop, R. A.; Nugent, P.; Castro, P. G.; Deustua, S.; Fabbro, S.; Goobar, A.; Groom, D. E.; Hook, I. M.; Kim, A. G.; Kim, M. Y.; Lee, J. C.; Nunes, N. J.; Pain, R.; Pennypacker, C. R.; Quimby, R.; Lidman, C.; Ellis, R. S.; Irwin, M.; McMahon, R. G.; Ruiz-Lapuente, P.; Walton, N.; Schaefer, B.; Boyle, B. J.; Filippenko, A. V.; Matheson, T.; Fruchter, A. S.; Panagia, N.; Newberg, H. J. M.; Couch, W. J.; The Supernova Cosmology Project, 1999, "Measurements of Omega and Lambda from 42 High-Redshift Supernovae", ApJ, 517, 565. Los telescopios del Grupo Isaac Newton han contribuido con datos a la investigación que ha llevado al profesor Saul Perlmutter de la Universidad de California en Berkeley a compartir el Premio Nóbel de Física 2011. El equipo liderado por Perlmutter, denominado "Supernova Cosmology Project", utilizó técnicas de imagen de gran campo en el Telescopio Isaac Newton (INT) desde comienzos de los años 90, junto con imagen y espectroscopía en el Telescopio William Herschel (WHT) y otros telescopios, para estudiar supernovas de tipo Ia distantes y descubrir que la expansión del Universo, durante mucho tiempo considerada desacelerada debido a la acción de la gravedad, estaba de hecho, siendo acelerada: las galaxias ahora receden mucho más rápidamente a como lo hacían hace billones de años. Este resultado establece un nuevo modelo de Universo, ampliamente aceptado, en el cual su dinámica estaría dominada por lo que ha dado en denominar, "energía oscura". El artículo principal de estas investigaciones se publicó en 1999. Los instrumentos utilizados en las observaciones que se llevaron a cabo con los telescopios del ING fueron la Wide Field Camera en el telescopio de 2.5 metros Isaac Newton, y la Prime Focus Camera y el espectrógrafo doble ISIS en el telescopio de 4.2 metros William Herschel. Las observaciones y posterior análisis demuestran cómo el uso conjunto de telescopios de tamaño y coste medio y de telescopios de dimensiones mayores (los telescopios Keck en este caso) pueden llevar a producir grandes avances en el conocimiento del Universo. Buena parte del éxito de estas observaciones de supernovas distantes se debe a la flexibilidad con la que el uso de los telescopios del ING puede programarse y a la excepcional calidad del cielo nocturno de La Palma. Es un honor para el ING haber contribuido al resultado más importante de la cosmología observacional de las últimas dos décadas. Imagen de una supernova distante de tipo Ia situada a miles de millones de años luz de la Tierra. Esta y otras supernovas fueron objeto de estudio por parte del equipo del Supernova Cosmology Project. Como puede apreciarse, cuando una estrella explota como supernova de tipo Ia rivaliza en brillo con el de toda la galaxia en la que se encuentra. Esta característica, junto al nivel de precisión con el cual se puede establecer la luminosidad intrínseca de la supernova de tipo Ia, las convierten en fuentes estándares para la investigación de la geometría y la dinámica del Universo [ JPG | TIFF | PDF ]. Los astrónomos del Grupo de Telescopios Isaac Newton, Nic Walton y Javier Méndez, se encuentran entre los autores que firmaron algunos de los artículos de investigación del Supernovae Cosmology Project desde los años 90 hasta la actualidad. Anuncio del Premio Nóbel de Física 2011.